HealthKit is a framework introduced in iOS 8 that provides a centralized, user coordinated and secure datastore for health and fitness related information. The HealthKit datastore is shared among apps so that they can access health and fitness related data. 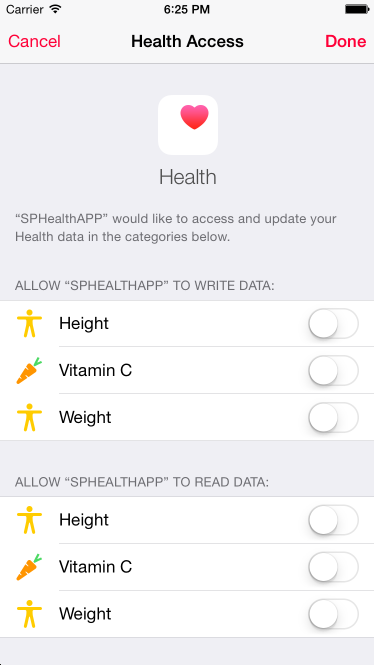 In this tutorial I will show you how a Cordova app can read and update HealthKit data. I will create a simple app which will let users update height, weight and vitamin C consumption. 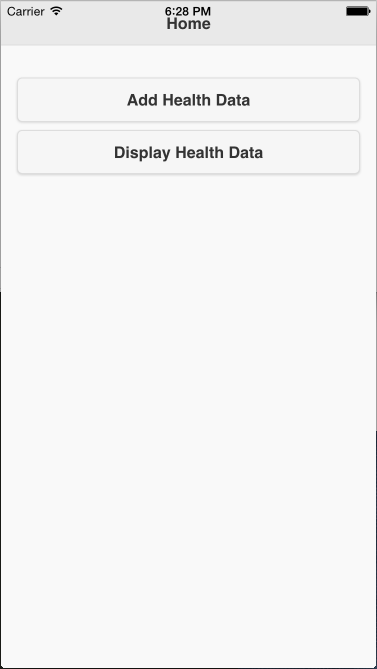 To access the HealthKit framework I will use Telerik’s HealthKit Cordova Plugin. The type of information that can be accessed is already specified by Apple. Apple has defined a list of identifiers for representing different types of information. For example: HKQuantityTypeIdentifierHeight represents the height of a user. Apple has predefined set of values for some types of information. For example: The value of blood type needs to one of these identifiers. Information doesn’t hold just a value, it also holds meta data like date, time and measurement unit. For example: To update the weight of a user, we have to provide a time when the measurement was taken and the unit of measurement. All the types of information are categorized into three categories: quantity, correlation and workout. Correlation groups quantity types. A third-party app needs separate read and update permission for every information type. iOS 8 and later comes with a preinstalled health app. 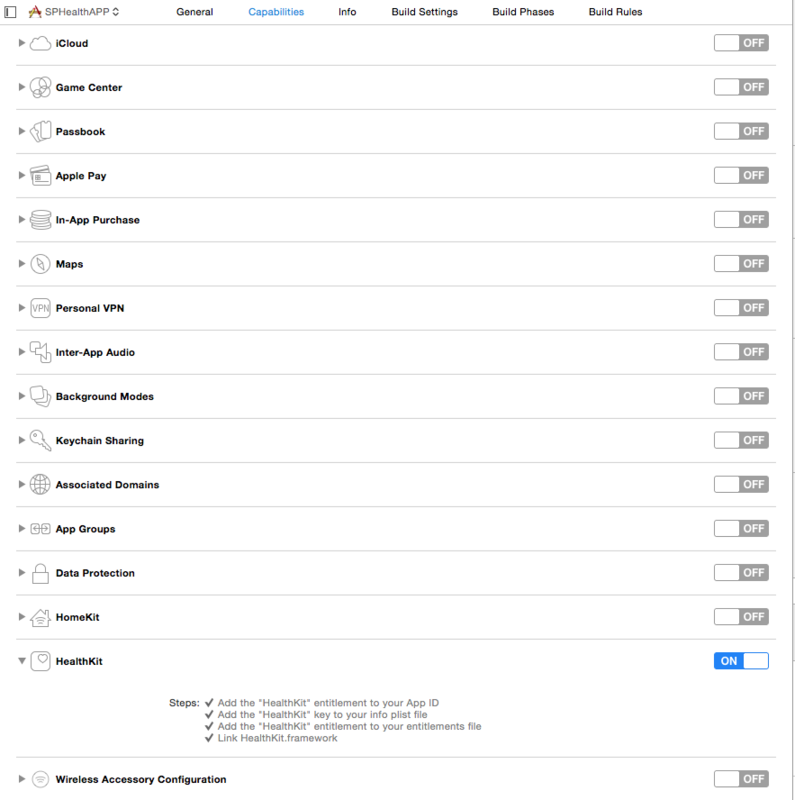 This can be used by users to manage the complete HealthKit datastore and control permissions for third-party apps that want access to the HealthKit data store. It tracks health and fitness related data using the motion sensor, pedometer and step counter activity tracker. To update quantity information, use the function below. Make sure to provide startDate and endDate along with sampleType. Let’s get started with building a health and fitness app. This app will let users update height, weight and vitamin C for a specific date and quantity. You can find the final code of this project on gitHub. I won’t cover installing and creating a Cordova Application, if you haven’t done this before, read the getting started guide. Instructions to run and build the application are available on the same page. Give the Application an appropriate name and add the platforms you want to support. I am using Cordova’s Notification plugin and Device plugin in this tutorial, find instructions on how to add these here. Here I added jQuery and jQuery Mobile from CDNs. You can embed these files locally so that the app works without an Internet connection. Let’s create a home screen which will display when the app loads. On the home screen are two buttons. These are for updating and displaying data. As soon as the app loads the app needs to ask permission and if user doesn’t grant it, display another page indicating that the app doesn’t have sufficient permission. Similarly, after the app loads it needs to check HealthKit compatibility. When a user clicks on the Add health Data button on the homepage a new page displays where a user can update data. 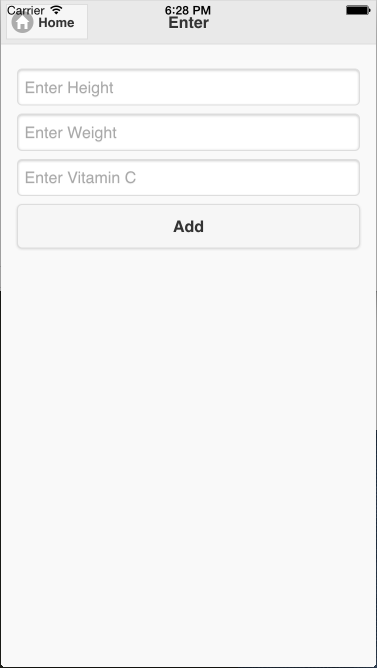 Height, weight and Vitamin C are updated using the window.plugins.healthkit.saveQuantitySample function. window.plugins.healthkit.saveCorrelation demonstrates correlation and HKCorrelationTypeIdentifierFood groups nutritions. Before updating each information type, we check if permission is granted. 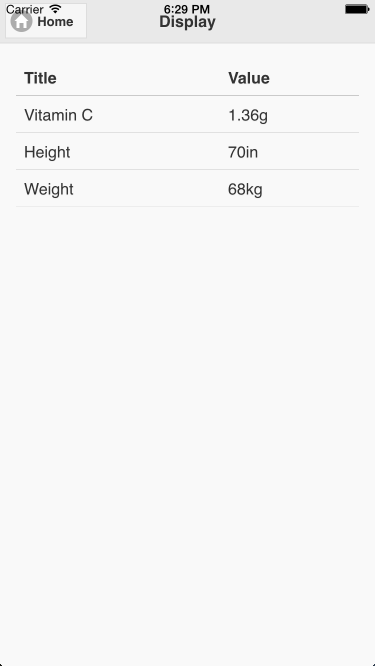 The window.plugins.healthkit.querySampleType function displays height and weight. Vitamin C could be displayed using window.plugins.healthkit.querySampleType but instead I am using window.plugins.healthkit.queryCorrelationType to demonstrate correlation. Before querying each type of information, we check if permission is granted or not. The app is functional and can be deployed to iOS8 or later, but is basic. The next steps to create a full app would be letting users update workouts. Let me know your experiences trying this tutorial and ideas for expanding it.